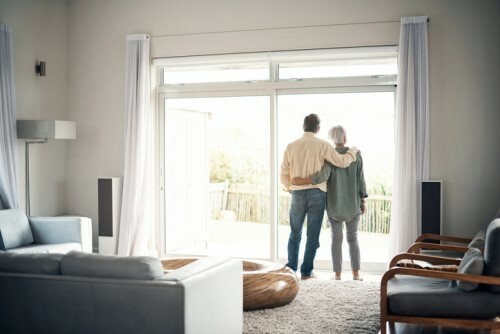 93% of Canadian home owners aged 65 and over expressed a belief that it is important for them to live in their current homes in their retirement years, according to a recent poll conducted by Ipsos on behalf of HomeEquity Bank. The survey – which was conducted between June 15 and June 18, 2018 – also found that in stark contrast to Canadian seniors’ preferences, only 55% of respondents aged 25-34 said that it’s important for them to stay in their homes when retired. 69% of senior home owners in Canada wish not to move away during retirement to maintain a sense of independence. Meanwhile, 51% said that they want to stay close to family, friends, or their communities, and 40% pointed at emotional attachments and memories as their motivation for staying put. In addition, Ipsos observed a positive correlation between age and the perceived importance of home comforts, progressively strengthening among Canadians aged 35-44 (68%), 45-54 (74%), and 55-64 (79%). Real estate professionals were among the leading sources of inquiries among senior home owners, with 17% of Canadians aged 55 and over (and 24% of those aged 75+) saying that realtors have approached them to gauge interest in selling and downsizing. Other sources of inquiries were friends and/or other family members (6%), adult children (3%), banks and/or financial advisors (1%), and neighbors (1%). However, a majority of homeowners aged 55 and over (76%) said that they haven’t been approached for inquiries yet.